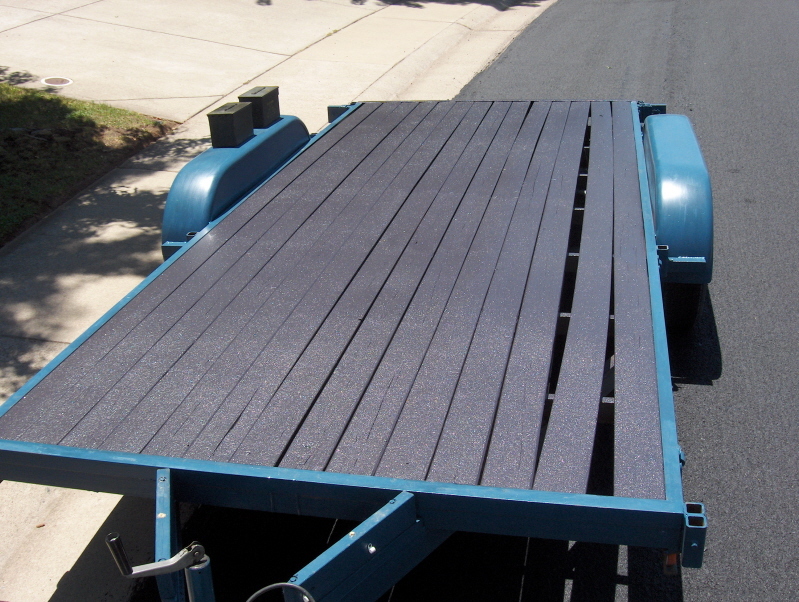 Every 2 years or so I have been repainting my car hauler trailer using about a gallon of Hammerite paint. After trying several other brands I had found that the Hammerite brand was supremely more durable than regular paint, and would keep my trailer looking nice much longer than regular paint. When the time came to wire wheel the old paint off and give the trailer its bi-annual paint job, I did what I do best. Yep, I procrastinated the task of repainting the trailer all of last winter. Lucky for me Brian from Rockliner.com called the Pirate4x4.com office inquiring about doing one of his Vortex liners on one of our projects. When I told him about my trailer he said that he had done several trailers, and that it was a great alternative to painting. 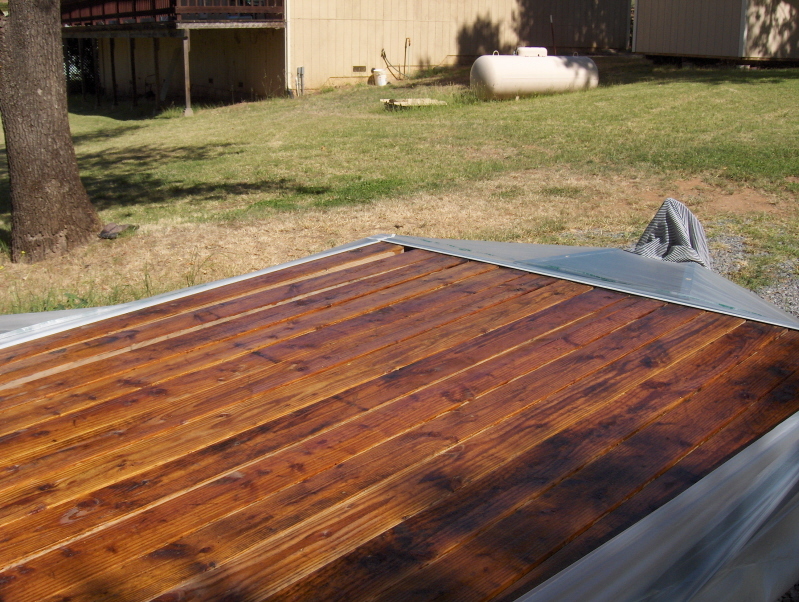 He said that after working his magic he can make an old beat up trailer look new again. I was sold! We immediately set up an appointment for the following week. The great part of Brian's business is that he comes to you. His operation is 100% mobile, and environmentally safe. The following week Brian showed up at Pirate headquarters right on time and we got down to work. It should be noted that due to a technical boo-boo with my camera, the images in this article are not of my trailer, but other customers trailers that Brian has done. The first step was the typical prep of any paint project, so we busted out our 4" wire wheels and with less than one hours worth of prep, it was ready to be sprayed. I was surprised at the small amount of prep time since I was used to several hours of nasty paint and grime removal. However with the Vortex product, it is not so critical to remove every last bit of paint and grime. 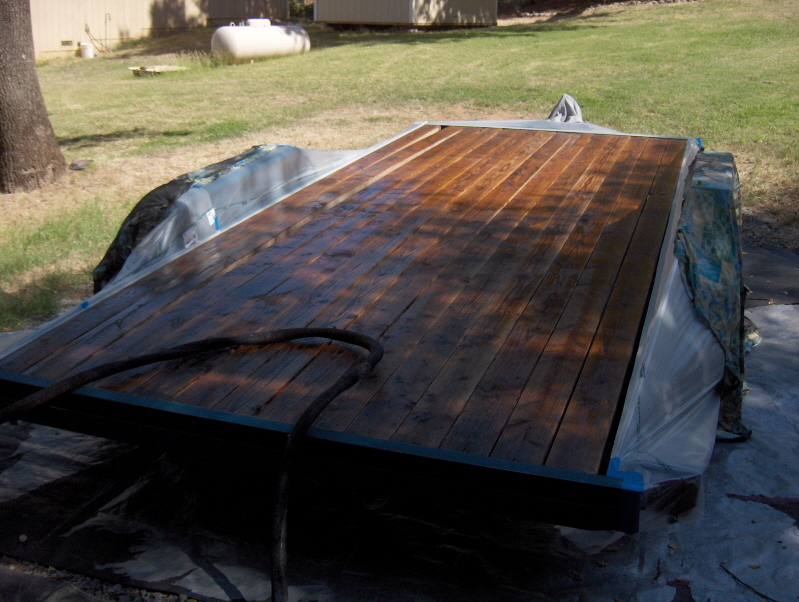 We wiped down the trailer with some solvent and it was now ready to have the last coating of her hard life applied. 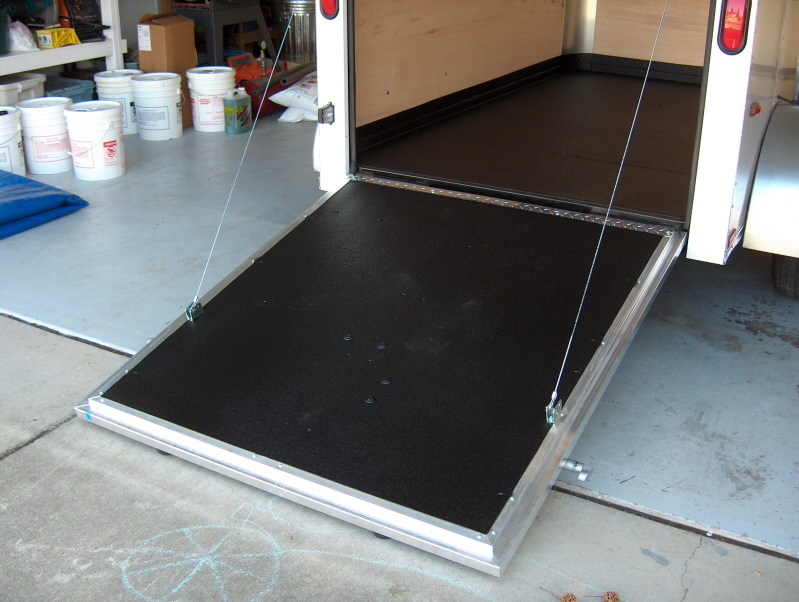 The Vortex coating system is a pretty straightforward process and is environmentally friendly enough to be applied at your place of residence right in your driveway. We laid out some sheets to catch the over spray and after the machine was done warming up it was time to get it. Starting at one end of the trailer it looked like Brian was just painting the trailer although his paint gun was much larger and the coating was much much thicker. As you can see I choose your basic black color because it matched my truck, however I could have selected from a huge palette of colors. I could tell right away that this was going to be the last time I ever had to deal with painting or dealing with rust on my trailer ever again. The Vortex coating covered up every thing in its path with a 1/8 to a ¼ inch layer of durable protection. 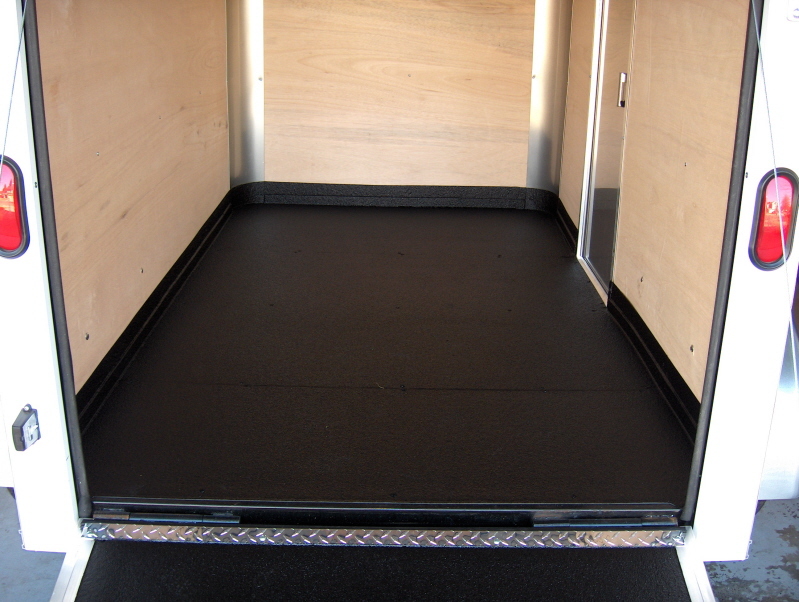 Once the trailer was coated it was a simple clean up of the sheets and unmasking the lights and tires and the project was done. I've been using/abusing the trailer for almost 6 months now. We've been dragging the leaky Jeepspeed around the deserts, hauling cars, trucks, pallets and all the other abuses we put trailers through. The Vortex lining has held up flawlessly, and with a simple pressure wash it looks as good as new! I don't see it wearing out anytime soon. Brian from Rockliner Coating is located in Rocklin, CA, and is a fellow wheeler and member of the WEBILT off road club. Check out the Rockliner site for info and pictures of the different projects he has done. 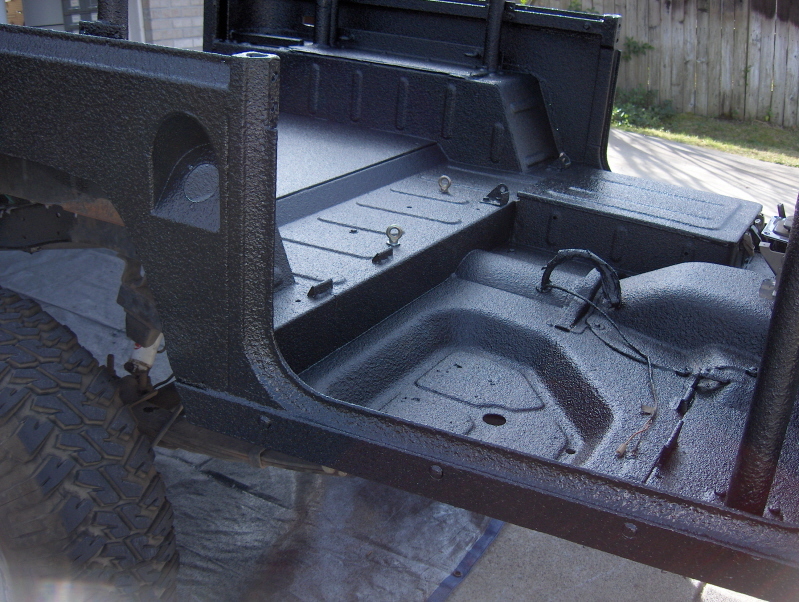 Brian has done everything from trailers, buggies, Broncos, Jeeps, and just about everything else you could ever want a good looking, long lasting coating applied to.